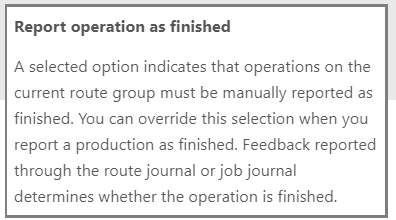 On route groups, which are mandatory when you’re using routes and operations, some setup are quite explicite but the Report operation as finished on the Feedback tab is not so obvious. To have a clear view, let’s go with an example. This option is ticked, so I’m creating a brand new production order based on route setup with this route group for my operations in the route. Then I’m estimating the production order and run the Operation schedule. This functionnality apply only with operation scheduling (and not the Job schedule). 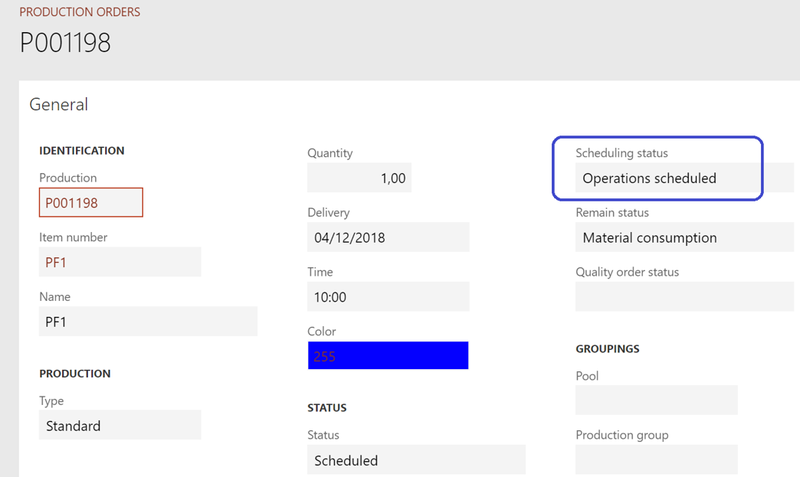 Going back to the production order, you can notice the Scheduling status has been updated. Then I’m starting the production order. As you can see, I’ve pre-consummed my components (this is not important for the purpose of that tutorial). I’m creating a manual route card journal for my operations and post it. Here you notive I’ve decided to unticked the Operation completed checkbox, which means in other word that I can track some additional time on this operation. 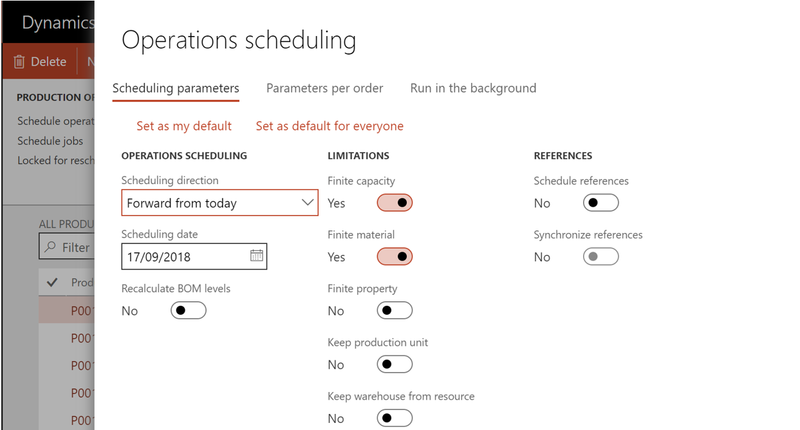 From the production order route, I can notice the Reported as finished option has not been ticked on the operation 20. Let’s try to run the report as finished step (with End-mark route unchecked). 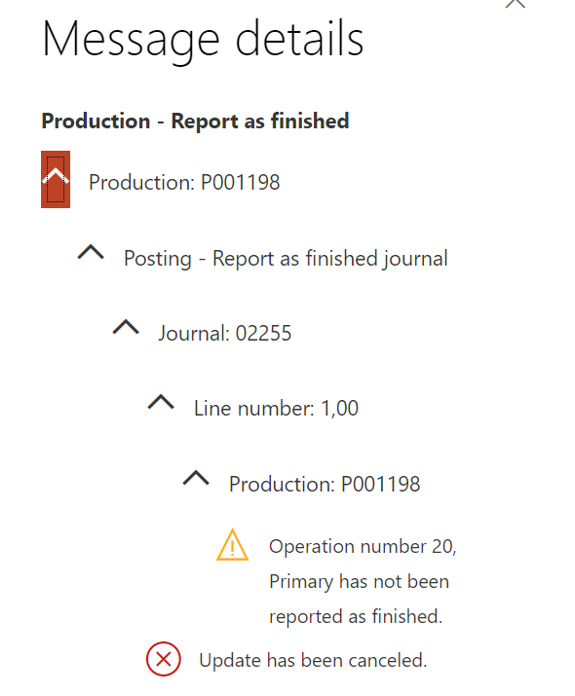 Here I let the End-mark route as unticked, and then I’ve got the following error message : Operation number 20, Primary has not been reported as finished. Sometime, depending on the process you may also have that kind of message : Total good quantity reported as finished for the production will be 1,00. Feedback for the last operation is 0,00 in total. This means that you haven’t dial any Good quantity for an operation. So you may need to create another journal for that. 1/ You can go back on the route group and unticked the Report operation as finished setup to see the difference. Going back to report as finished process. This time everything go well. 2/ The other solution is to force to complete the operation from the Report as finished form. Just tick the End-mark checkbox and run the Report as finished again. 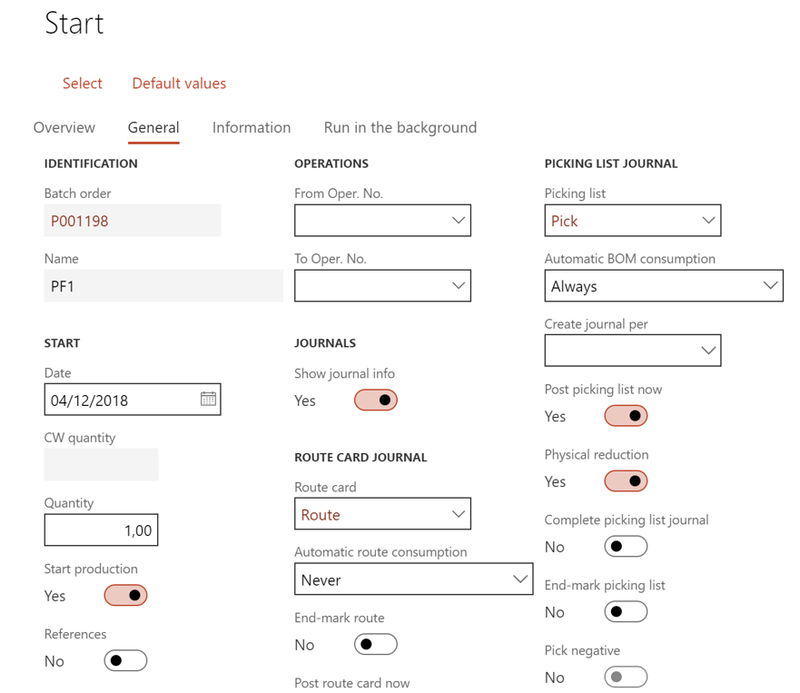 L’article Understand the Report operation as finished setup in the route groups est apparu en premier sur D365Tour.